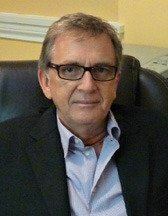 David G. Benner (born February 9, 1947 in Orillia, Ontario) is an internationally known Canadian psychologist, transformational coach, author and wisdom teacher whose books and teaching have focused on the interface of psychology and spirituality – particularly the unfolding of the self associated with a journey of awakening. Benner followed his Honours BA in psychology at McMaster University with an MA and PhD in clinical psychology at York University. After registration with the College of Psychologists of Ontario, and licensing in the state of Illinois, he was certified as an expert witness in both jurisdictions. He continued post-doctoral studies at the Chicago Institute for Psychoanalysis. His practice as a psychologist developed through clinical appointments and special projects, among them the assessment and classification of young offenders, development and evaluation of a day-treatment program for emotionally disturbed children, and an examination of the childhood antecedents of multiple personality disorder. He continued to develop therapeutic models and publish steadily. Benner was professor and founding chair, Graduate Department of Psychological Studies at Wheaton College in Illinois, and chair of the Department of Psychology, Redeemer University College, in Ancaster, Ontario. In Toronto, he held overlapping appointments as Adjunct Professor (Psychology and Christianity), St. Michael’s College, University of Toronto; Adjunct Clinical Professor, Graduate Department of Psychology, York University; and Adjunct Clinical Professor, Ontario Institute for Studies in Education, University of Toronto. He was later a founding director of the Institute for Psychospiritual Health, Toronto. Benner was in private practice in Illinois and Ontario between 1973 and 2006. He held clinical directorships in Glendale Heights and Carol Stream, Illinois, and served as a consultant in psychology in North Bay, Barrie and Waterloo, Ontario, and Hershey, Pennsylvania, as well as for the Pastoral Counseling Institute, Atlanta, and the Institute for Pastoral Care, Manila. Appointments and consultantships included the Children in War Zones Project at McMaster University Medical School in Hamilton, the Thistletown Regional Centre for Children and Adolescents in Toronto, and the Tao Fong Shan Christian Centre in Hong Kong. He was consultant in forensic psychology to the DuPage County Circuit Court in Wheaton and was consulting psychologist at Charter Barclay Hospital in Chicago and at the Salem Christian Mental Health Association in Hamilton. Between 1989 and 2006, he was Chief Psychologist and Coordinator of the Brief Psychoanalytic Psychotherapy Program, Child and Adolescent Services, Hamilton, Ontario. He has conducted seminars, workshops and retreats in various parts of the world. Benner is Emeritus Distinguished Professor of Psychology and Spirituality at the Psychological Studies Institute, Richmont Graduate University (Atlanta, GA), and in 2008 was named Associate Fellow at the Centre for Studies in Religion and Society, University of Victoria (Victoria, B.C.). Dr. Benner was invited in 2013 to join the faculty of the Rohr Institute’s Living School of Action and Contemplation (Albuquerque, NM) as a master teacher and in 2016 was appointed Founding Director and Senior Mentor/Teacher of the Cascadia Living Wisdom School. The intersection of psychology and spirituality became a main interest of Benner’s during the 1970s. His general approach was described as a “multidisciplinary analysis of psychological change and spiritual development” that blends “insights from psychology, theology, anthropology, his own clinical practice, and other disciplines.” Examining the role of Christian spirituality in clinical practice in 1988, he noted "the chasm that had been dug between professional psychology and spiritual longing,” and in 1989, published his views in an article on the nature of spirituality, its role in psychotherapy and a “nonreductionistic understanding of spirituality that situates it within the heart of an individual's psychological being.” A retrospective study of Benner's model of human nature and its implications for educators and counselors, based on his writings since the late 1980s, was published in 2006. A later examination of changes in therapeutic work over two decades included Benner among leading researchers in the field of spirituality. By then, his role in therapeutic counseling extended to spiritual guide and personal transformation coach. A 2012 review noted that "Benner’s broader approach to spirituality in this book may be difficult for some readers, especially in his generous borrowing from eastern spiritualities," categorizing this as a "respectful dialog with others outside his faith tradition." Benner has authored or edited twenty-eight books. Early titles focused on the role of spirituality in clinical practice and were primarily written for psychologists and other mental health professionals. Later books have been more popular but have continued to focus on the role of spirituality in human development and unfolding, drawing on science, philosophy and the perennial wisdom tradition for insights that are helpful in understanding spiritual awakening and transformation. In addition to his books, he has also published in areas such as religious psychodynamics in multiple personality disorder, development of a psychological test for the assessment of marital communication, an exploration of the psychology of money, health psychology resources for family practice, and psychological trauma and social healing in Croatia. He also played a seminal role in the creation of a child trauma treatment program. He was also editor of a reference encyclopedia in the field and co-editor of a subsequent edition expanded for a readership of pastoral counselors, professors and clinicians, as well as editor of a ten-book series on strategic pastoral counseling resources. In a journal addressing the interface of psychology and spirituality, a reviewer wrote of Benner’s body of work: “His research plumbs the best of human development psychology and ancient spirituality wisdom…. As a seasoned scholar, author, psychologist and a spiritual director, Benner serves as an expert witness of what healthy and whole humans look like.…” His contribution of material for peer professionals continues, and his books have reached a broad general readership. More than two dozen of his titles are in print, and translations have been published in twenty-one languages.